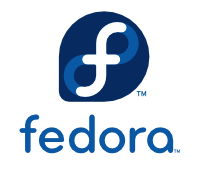 This is guide, howto upgrade Fedora 27 to Fedora 28 using DNF. This method works on desktop and server machines. I have tested this method on several machines, but if you have problems, please let me know. Always remember backup, before upgrade! Before doing anything, do full system backup or backup at least your important data: documents, pictures, videos, config files, log files, databases etc. This is very important step, because if something goes wrong and you have to do fresh install, then you can easily restore your data. Just make sure that you have all latest packages installed. Just make sure that you are running latest kernel. options to get all packages downloaded. Use rpmconf to find .rpmnew, .rpmsave and .rpmorig files. You can keep current version, place back old version, watch the diff or merge.